If you haven’t tried white water rafting before, this is the perfect excursion to try it out. The half day tour travels on the Salt River over class III rapids—enough to get splashed without being expert-level. 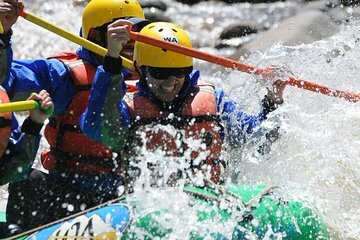 Your guide will take you through a safety orientation and whitewater rafting basics before setting out on the river with views of the White Mountains beyond.